Climate tests are done to understand public opinion on a matter of interest. They help by providing actual insight into how the public feels about a subject rather than relying on gut feeling and intuition. The Bolton Care Record is a huge NHS led programme that may affect all the residents in Bolton. 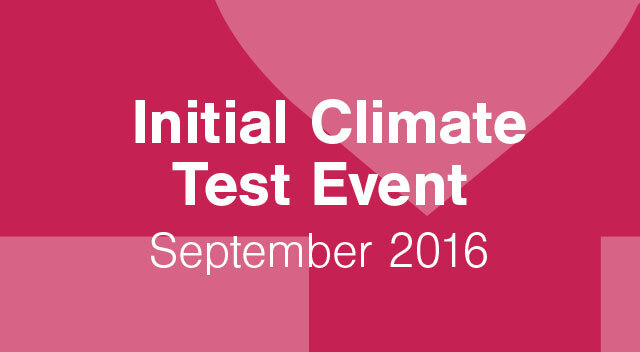 An initial climate test should be done at the very beginning of a programme of work which is affecting change. This will provide a bench mark of understanding and help shape communications moving forward. Climate tests should be conducted frequently through any change programme of work to ensure that people understand the messages and are moving through the journey and ultimately changing behaviours. At the very beginning of the programme we used the opportunity to understand what stakeholders thought and then used their thoughts to shape the programme. What if the information gets into the wrong hands? How you going to stop it getting into the hands of insurance companies? What if a person presents at A&E with self-harming – they need access to clinicians with mental health experience. Consent issues –GPs can ask leading questions. Patient may not understand what they are consenting to. Are the current safeguarding measures in place actually working? If not this will just increase the risk and the issues? Consent regarding historical data – how will this work? Crisis situation – permissions may be given but then will it be emphasised that consent can be withdrawn at any time. Consent procedures – will this be done in person and signed/dated/ Must not be done on phone. Training crucial for staff. Education crucial for patients. How will we reassure patients that they won’t be treated differently if they opt out? How can we guarantee that the data won’t be sold off in the future? The programme should be referred to “The Bolton Care Record” – say’s what it is and had unanimous support. Lots of information and signposting to this information.